News Where is Maury the Mule? Where is Maury the Mule? Looking for something to do while the kids are on Spring Break…. 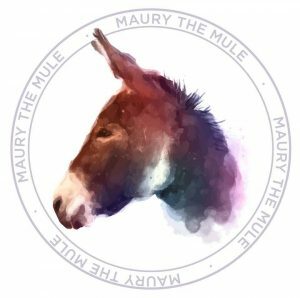 The “Where is Maury the Mule” event starts this weekend! Pick up your “passport” from one of 20 participating merchants in Maury County. Just get your passport stamped at 17 of the 20 businesses for an entry! Turn in your passport on April 10th. You won’t believe the Grand Prize! The prize drawing will be on Thursday, April 12th and the winner will be notified by phone. Grand prize is a basket of gift cards worth $500! 3. Find Maury the Mule in the merchants store and have the merchant sign/stamp your passport. 5. Once you have filled your “Where is Maury the Mule” passport with at least 17 merchants, complete the information on the inside of the passport with your name and information. 6. Drop your passport off at the Maury County Chamber office at 106 West 6th Street, Columbia, TN before 5:00 pm on Tuesday, April 10th to be entered for the grand prize drawing. 7. The prize drawing will be on Thursday, April 12th and the winner will be notified by phone.